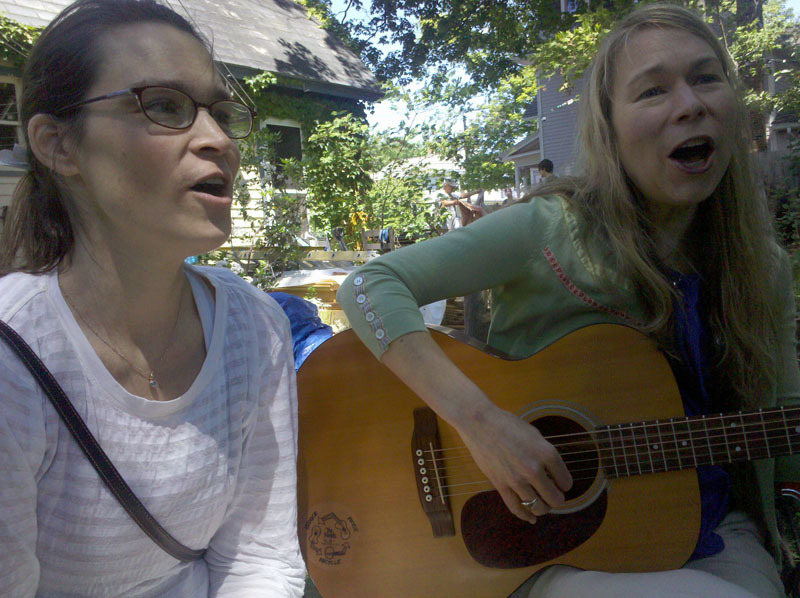 Nerissa and Katryna Nields are releasing a new DVD, and singing about one of their favorite things – organic farms. The world premiere of the DVD will be at Tuesday Market on June 15th, inside the old Dynamite Space. They stop by the backyard to sing and talk about dirt, poop, and the difference between kids’ music and folk music (hint: not much). But before that, we sit down with Bill’s mom, Maria Dwight, to talk about the issue we’ll all (hopefully) face someday: aging, and the problems and opportunities it brings.